There are few places on earth with more area where land and water meet than Michigan. Here the bogs and marshes, ponds, lakes, streams and rivers provide a crucible for life. Bill Allen turned to these precious places when creating his work for the MLAP collection. 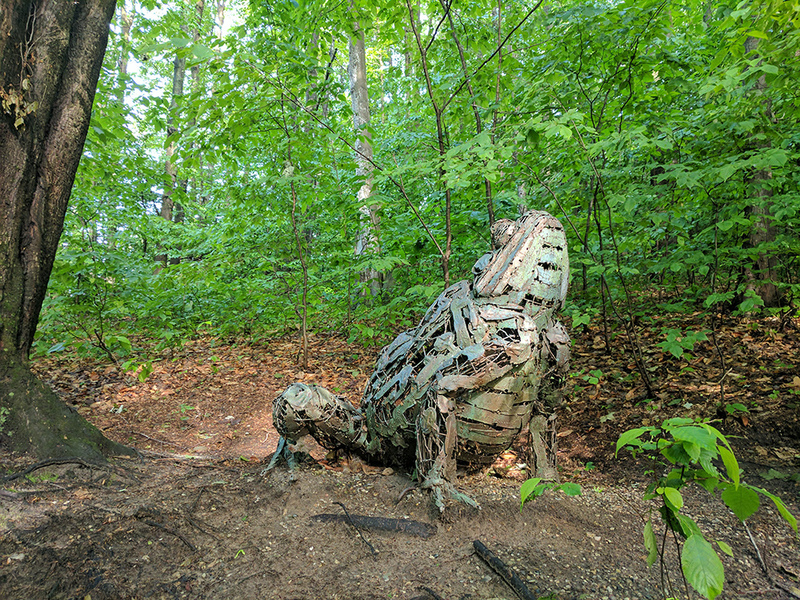 “I have chosen to sculpt a frog because I believe they represent some of northern Michigan’s most unique and special gifts. They are the harbingers of spring,” with each species adding to the chorus. Frogs are sensitive creatures. They can warn us well in advance of potential danger to our environment so we can act to preserve this special place. “Finally,” says Allen, “I believe that frogs embody the spirit of transformation and survival we in northern Michigan possess, with their unique progression from tadpole to full-grown frog." 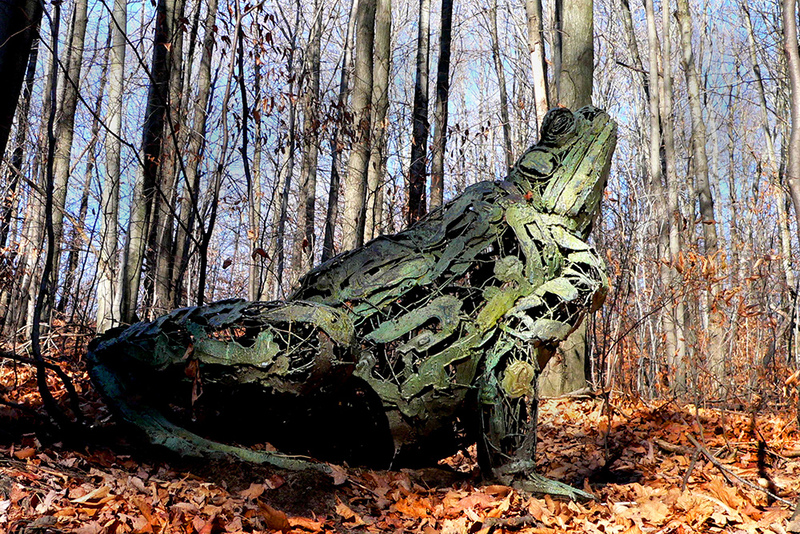 Frog is made of galvanized steel and coated with copper. The copper coating has been painted by Allen with the rich colors of a Michigan frog.